The eastern side of Montgomery County hasn't always enjoyed the fruits of its prosperity. It doesn't have Bethesda's shopping or Rockville's jobs, and it wasn't too long ago that downtown Silver Spring was largely abandoned. Until recently, many of our community leaders actively opposed new development, fearful of traffic, crime or changing demographics. 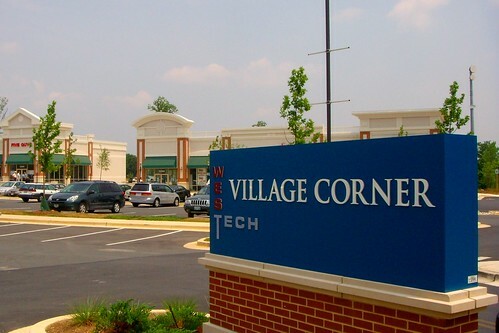 WesTech Village Corner, a shopping center on Tech Road. Finally, things are starting to change. Tomorrow, county planners will hold an open house to discuss the East County Science Center Master Plan. It's a document that'll propose creating a new center for technology and commerce around the Food and Drug Administration's new campus and a relocated Washington Adventist Hospital. 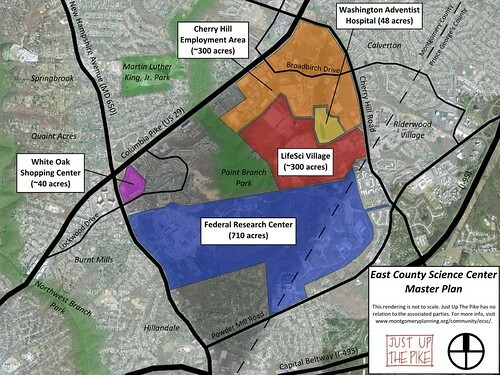 In concept, it's very similar to the Great Seneca Science Corridor Master Plan, a controversial proposal for dense, mixed-use development west of Gaithersburg that the county passed earlier this year. Though civic activists and smart growth advocates criticized that plan for being too large and too far from transit, they've expressed support for creating a life sciences center here. But like Great Seneca, the East County Science Center can't just be about doctors and lab coats. It'll hopefully bring more shopping, more housing, and other amenities. If done right, this plan could give East County a town center like people in Germantown or Rockville already enjoy. Major landmarks in the master plan area. However, planners won't put markers to trace paper for a while. Right now, they're developing a "scope of work" describing what the plan will include. So far, all we know is that the plan could cover a 1,200-acre area bounded by Route 29, Cherry Hill Road, New Hampshire Avenue, and the Prince George's County line. Today, that area contains a mash-up of residential, commercial, and light industrial uses. It's divided by the Paint Branch, which feeds into the Anacostia River. More than half of it is taken up by the Federal Research Center, home to the FDA and other government agencies. Though most of the 710-acre campus is undeveloped, local civic associations have opposed adding commercial or residential uses there. As a result, the plan will focus on re-imagining older commercial and industrial parks in the study area. Local developer Percontee proposes redeveloping its concrete recycling plant on Cherry Hill Road and an adjacent sludge treatment facility called Site 2 into a mixed-use community called LifeSci Village. When completed, the 300-acre development could contain four million square feet of offices and retail, a conference center, and as many as four thousand new homes. 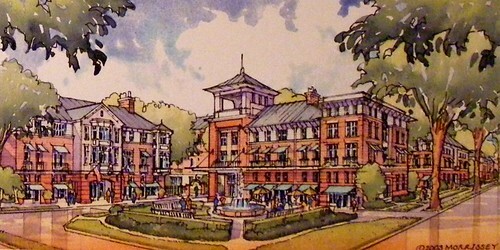 Rendering of LifeSci Village courtesy of Percontee. Another candidate for redevelopment is the 1960's-era White Oak Shopping Center, located at New Hampshire Avenue and Route 29 and filled with a mix of chains and mom-and-pop stores. 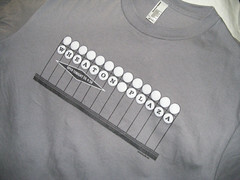 Its proximity to major roads and transit make it a good place for a mixed-use town center, but the mall's suffered from a reputation for crime. If built out, the plan could revitalize East County, providing the kind of amenities residents have long clamored for. But it could also create new problems, like increased traffic. As a result, there are a few things planners will have to consider as they begin work. The East County Science Center Master Plan must address transportation improvements. Though the InterCounty Connector will open in 2012, the area will need a network of new, local roads to improve circulation. It'll need to create connections to surrounding neighborhoods, parks, and the Paint Branch Trail, which is inaccessible east of Route 29. And we'll need sidewalks and bike paths to tie all of it together, enabling people to get around without driving. The Food and Drug Administration's campus under construction in White Oak. Photo by Evan Glass. The plan will have to address the need for rapid transit as well. In its long-term transportation plan (PDF! ), Montgomery County proposes building a "Purple Line Spur" between Langley Park and White Oak, while Councilmember Marc Elrich's bus rapid transit plan would have multiple lines serving the East County Science Center. Both of these proposals should be vetted as the planning process begins. 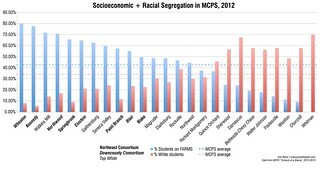 The biggest challenge, however, will be reaching out to the area's diverse population. For far too long, the public discourse in East County has been dominated by a small but vocal minority who doesn't represent the whole community. For this plan to truly consider the wants and needs of everyone in East County, we'll have to listen in new ways. Come out tomorrow for the open house, to be held from 4:30 to 8:30pm at the Eastern Montgomery Regional Services Center, located at 3300 Briggs Chaney Road.